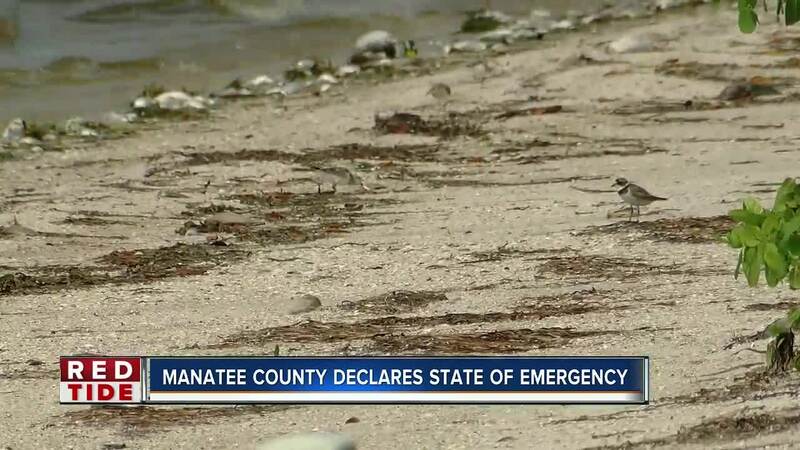 MANATEE COUNTY, Fla. — Manatee County Commissioners have declared a local state of emergency due to the Red Tide epidemic. The declaration means the county will be able to apply for relief funds if disaster relief money becomes available. Dead fish continue to wash ashore beaches in Manatee County. 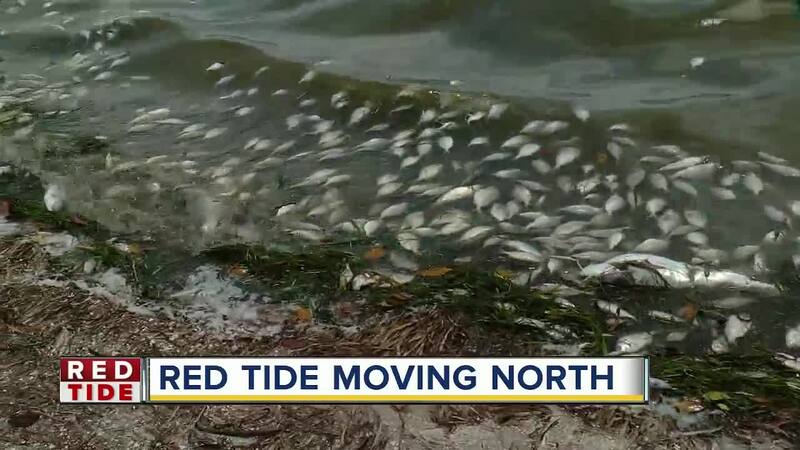 Just last week, county officials announced plans to expand their red tide efforts by hiring a vendor to clean small canals and waterways . The county set up a hotline where people can call for information about clean-up efforts or with questions about red tide. The number is (941) 749-3547. It's called the Citizens Operation Center. Manatee County leaders also hope people will pitch in to clean up. On Wednesday, August 22 between 7:30 a.m. and 9:00 a.m., people can meet up at the Palma Sola Causeway. If you plan on going you're asked to take something to pick up debris like a pitchfork or rake. Manatee County Parks and Natural Resources staff will hand out masks, gloves and buckets. Make sure you wear clothes you're not worried about getting wet and closed-toed shoes that lace up or strap to your feet. If you have breathing problems or asthma, it's recommended you don't attend these kinds of events. If you can't make it to Wednesday's event, the county will host another on Thursday, Aug. 23 at Perico Preserve between 7:30 a.m. and 9:00 a.m.